Last year, throughout his presidential campaign, Donald Trump harnessed populist anger at the wealthy elite, and presented himself as an outsider who will stand up for working people. 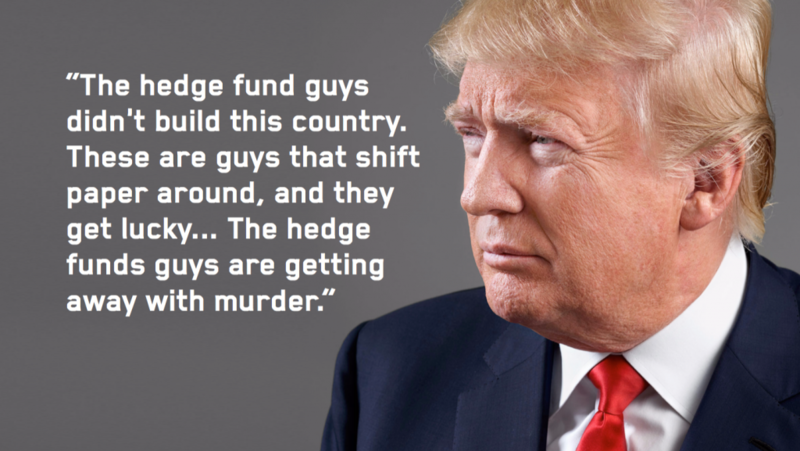 At an August 2015 appearance on CBS, Trump said that “hedge funds guys are getting away with murder,” earning “a hell of a lot of money and not paying taxes.” He slammed the “global special interests rigging the system” against working class Americans. He vowed to drain the “swamp” of political insiders and financial elite. But as President, Trump has quickly embraced the Wall Street billionaires he criticized as a candidate. 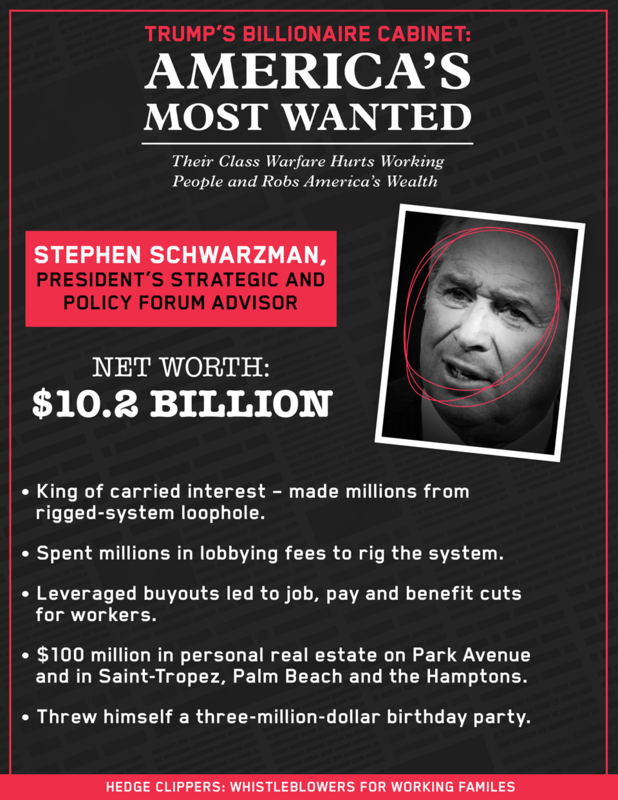 His cabinet appointees and top advisors are drawn heavily from the hedge fund and private equity worlds. They made their fortunes by manipulating the economy against working people and extracting massive wealth from communities. Total net worth of Trump advisors and cabinet members exceeds $63,170,600,000, a sum that exceeds the gross domestic product of Luxembourg. Combined, twenty cabinet appointees and members of the Strategic and Policy Forum and Economic Advisor Councils have a net worth exceeding that of the combined bottom 40% of all Americans. Since data is unavailable for many of Trump’s advisors, their true net worth is likely even higher.  What follows is a report from Hedge Clippers that examines how the actions and decisions of Trump’s White House picks have been detrimental to working men and women across the United States. Companies run by Trump’s appointees and advisors have outsourced at least 900 American jobs, foreclosed on tens of thousands of homes, and left billions in outstanding tax disputes with the IRS. And those are just a few of the most egregious examples. 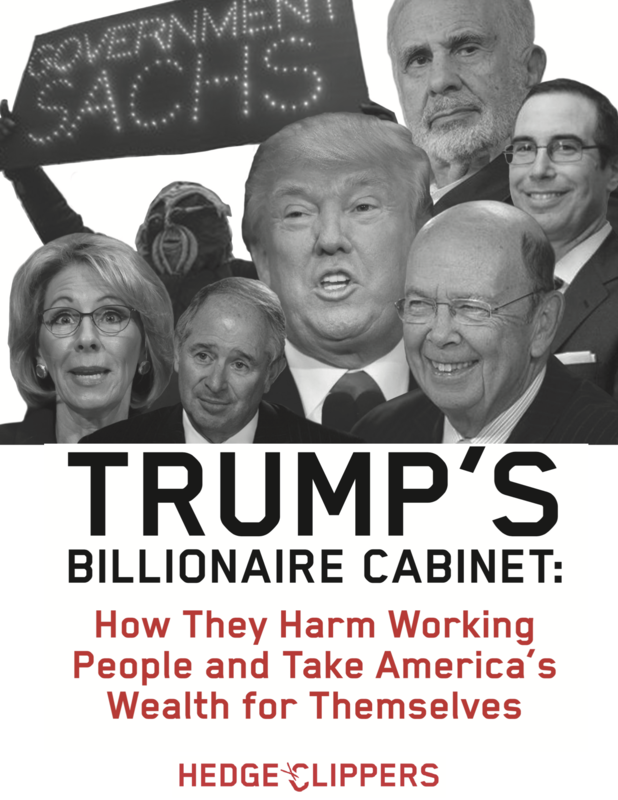 This is the first in a series of reports that will cut through the rhetoric and spin surrounding Trump’s economic agenda, and blow the whistle on how his appointees and advisors protect the wealthy elite, while leaving everyone else to pick up the tab. 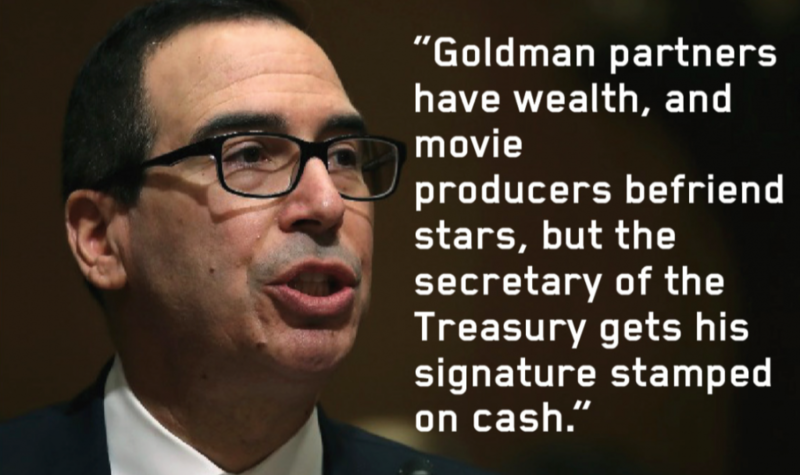 Mnuchin, son of a veteran Goldman Sachs partner, began his career in finance with a seventeen-year stint at Goldman Sachs. After departing Goldman, Mnuchin struck out on his own, launching a hedge fund called Dune Capital. One of Dune Capital’s most profitable moves involved creating a new bank out of the husk of IndyMac, a large bank that failed during the 2008 financial crisis. 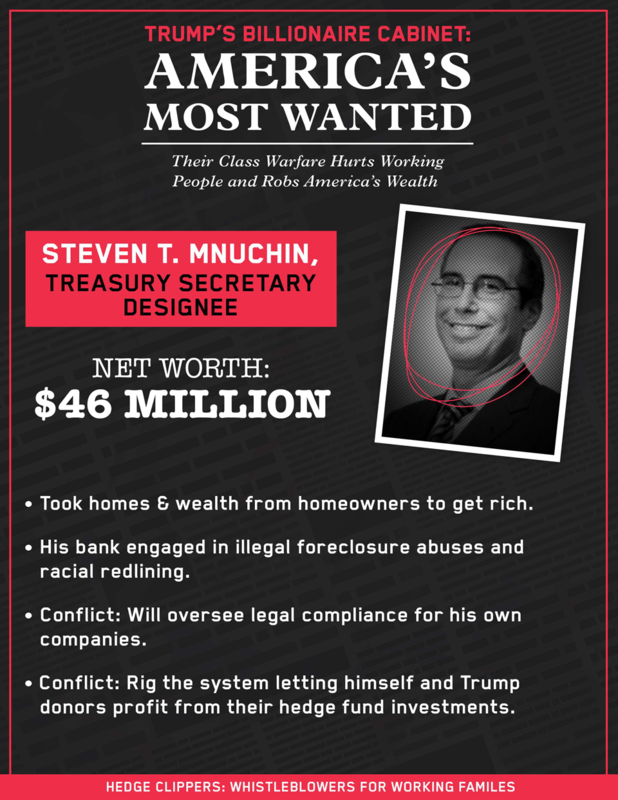 Mnuchin’s OneWest Bank has repeatedly been accused of abusive foreclosure practices. While news stories often highlight tawdry details of specific foreclosure actions, such as the bank’s 2014 foreclosure on a 90 year old woman over a 27 cent discrepancy, a memo from the California Attorney General’s office makes clear that abuses were endemic to the bank’s foreclosure practice. According to the memo, investigators with the Attorney General’s office uncovered strong evidence that OneWest staff had backdated documents in a way that allowed the bank to expedite foreclosures. Pervasive isn’t a strong enough term to describe the practice– in one batch of 913 OneWest documents reviewed, 909 had signs of backdating. Troublingly, there are many signs that OneWest also discriminated by race when it came to both mortgage originations and bank locations. Using data submitted to federal regulators, California-based housing rights groups have called for an investigation into possible redlining by OneWest, noting extreme disparities in lending to minority communities. According to data submitted by OneWest to the federal government, the bank did not make any home purchase or home improvement loans to African Americans in the Los Angeles area in either 2012 or 2013. The complaint also notes that OneWest had “an unreasonably low” number of bank branches in minority areas, compared to its peers. These pending allegations follow a history of regulator action against the bank. OneWest paid off big for Steve Mnuchin. In 2015, Mnuchin made $6,560,838 from the bank. When Mnuchin left OneWest after the merger with CIT Group, he earned $10.9mn in severance. Unfortunately, Mnuchin’s workers did not share in their boss’s largess. In December 2012, 168 OneWest workers in Kalamazoo, Michigan were granted trade adjustment assistance by the Department of Labor, after their jobs were shifted to Mumbai and Bangalore, India. The following year, 725 workers at OneWest’s Texas offices had their jobs offshored to call centers in India. If confirmed to Treasury, Mnuchin will be in the uncomfortable position of having been head of an organization that was under consent decree by the Treasury Department just two years prior. The consent decree was issued in 2011 by the Office of Thrift Supervision, a Treasury division that was folded into the Office of the Comptroller of the Currency in the Dodd-Frank Act, and involved OneWest’s use of so-called ‘robo-signers’ who mass filed affidavits of personal knowledge about foreclosure matters they only cursorily reviewed. And that won’t be the only awkwardness with Mnuchin’s appointment—according to the Wall Street Journal, Mnuchin has a $1-$2 million investment in a hedge fund run by John Paulson, which is betting on the privatization of Fannie Mae and Freddie Mac. Mnuchin has committed to advancing the privatization, if confirmed. Donald Trump campaigned on an economic populist message that promised to raise wages for the poorest Americans. 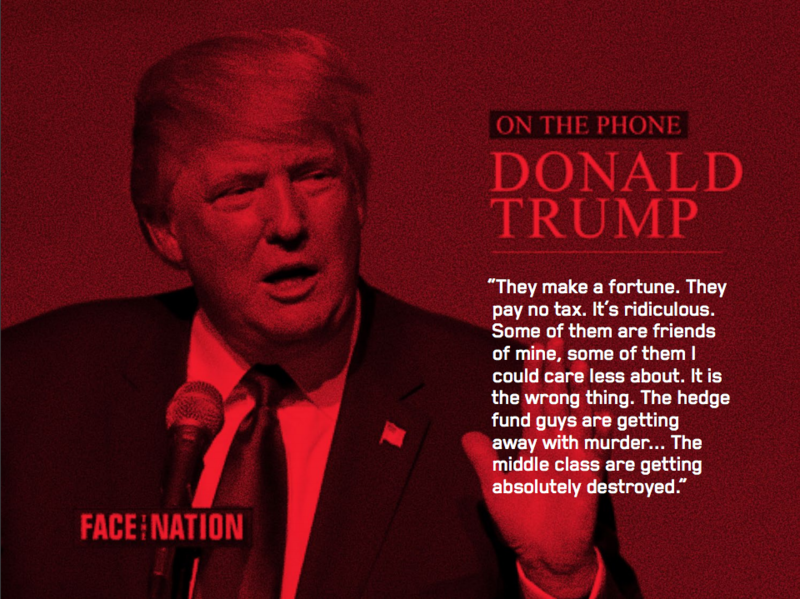 In July 2016, Trump explicitly advocated for raising the federal minimum wage—at least to $10, with the possibility that higher-income states could enact even higher minimums. In choosing Andrew Puzder for secretary of labor, Donald Trump has essentially signaled that he will break that campaign promise. Puzder, the CEO of CKE Restaurant Group (operator of Carl’s Jr. and Hardee’s) is one of the nation’s fiercest critics of raising the minimum wage. 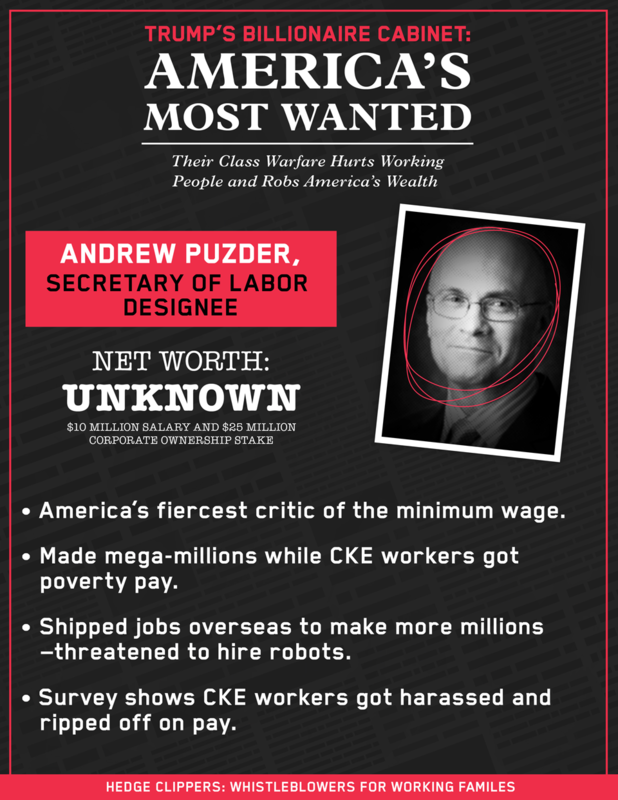 While Puzder opposes minimum wage increases for America’s working class, his extensive compensation as CEO is at the level that Donald Trump attacked as a “total and complete joke” during the campaign. 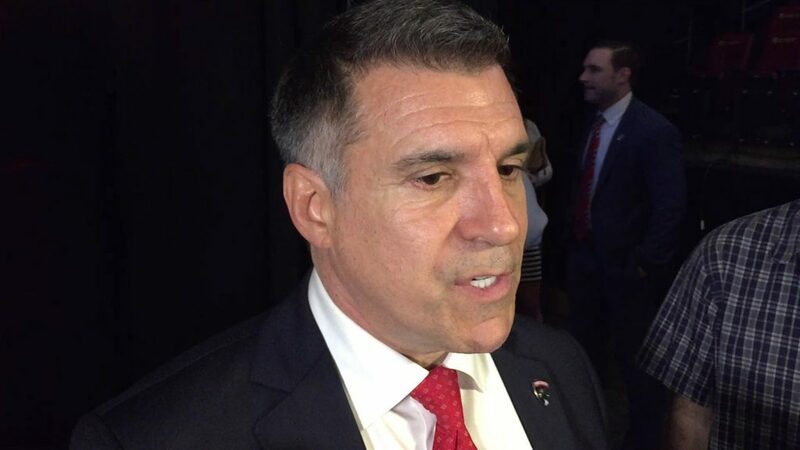 During his tenure as CEO, CKE was purchased by private equity firm Apollo Global Management, which later sold their stake in CKE to another private equity fund, Roark Capital Group. 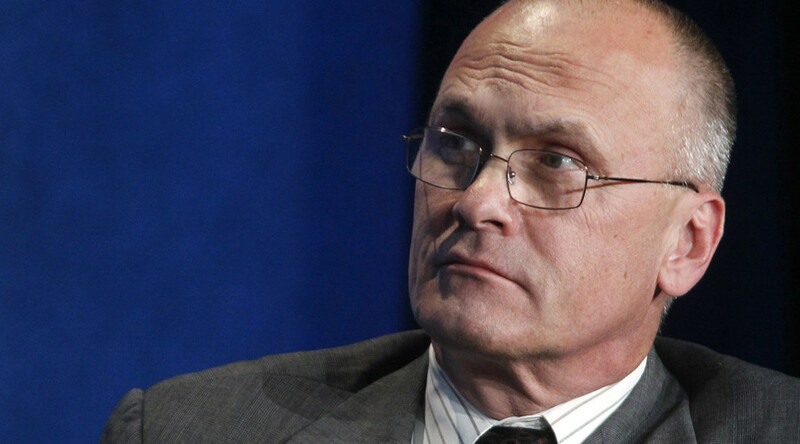 Upon the 2010 sale to Apollo, Puzder earned three “special retention bonuses” of $1,255,000 each, with each bonus amounting to significantly more than Puzder’s $1,070,000 base salary at the time. Puzder’s employment agreement with Apollo also provided for dues to “recreation clubs,” car allowances, and use of company aircraft by executives. While Puzder made millions of dollars, workers at CKE Restaurant properties like Hardee’s and Carl’s Jr. fared far worse. In 2016, the Bloomberg BNA noted that the Department of Labor found Fair Labor Standards Act violations at more than half of all Hardee’s/Carl’s Jr. restaurants they investigated from 2009-2016. Workers at CKE Restaurants have filed several wage and hour lawsuits. Some Hardee’s managers are involved in a class action lawsuit to recoup wages they claim to have lost due to being allegedly misclassified as overtime exempt. While Hardee’s reclassified the employees in response, the workers are still fighting for back pay. Under Puzder’s leadership, CKE even committed the cardinal sin of businesses in the Trump-era— they shifted American jobs overseas. According to a September 2010 certification of eligibility under the Department of Labor’s Trade Adjustment Assistance program, CKE Restaurants outsourced the work of their Anaheim, CA information technology helpdesk staff to the Philippines. Andrew Puzder has good reason for wanting workers that don’t file discrimination cases. In January 2017, the Restaurant Opportunities Center (ROC) published a survey of 564 workers at restaurants operated by CKE Restaurants Inc. The ROC survey bolsters the repeated Department of Labor findings that CKE Restaurants are recidivist wage and hour violators, with nearly a third of respondents reporting that they were required to work off the clock. Even more troublingly, two-thirds of respondent CKE workers reported experiencing sexual harassment at work, a number 50% higher than the already high rate of sexual harassment in the fast food industry. If confirmed, Puzder will oversee the Department of Labor at a critical point in our nation’s history. Income for middle-wage workers has stagnated for decades, and employers are increasingly choosing not to provide health care for their labor force. As a candidate, Donald Trump promised to create 25 million new jobs. If Andrew Puzder is confirmed, the Department of Labor will be led by the former CEO of a low-wage employer that offshored jobs, subjected workers to sexual harassment, underpaid employees, and threatened to replace American workers with machines. Icahn’s publicly traded holding company, Icahn Enterprises, is the owner of an Oklahoma oil refinery, and his own SEC reports note that the company incurs “increased capital, operating and compliance costs” in connection with their compliance with federal and state environmental regulations. Given his ownership in the oil refinery, Carl Icahn’s opining that Trump EPA designee Scott Pruitt is a “great pick” begs the question: for whom, the American public, or for Carl Icahn and Icahn Enterprises? Icahn did not even wait for Donald Trump to take office to start reaping benefits from his administration—Icahn reportedly left Donald Trump’s victory party to bet $1 billion on stocks. According to Fortune magazine, Icahn’s investment portfolio was the biggest winner of Trump’s hedge fund backers, earning more than $700 million after Election Day. 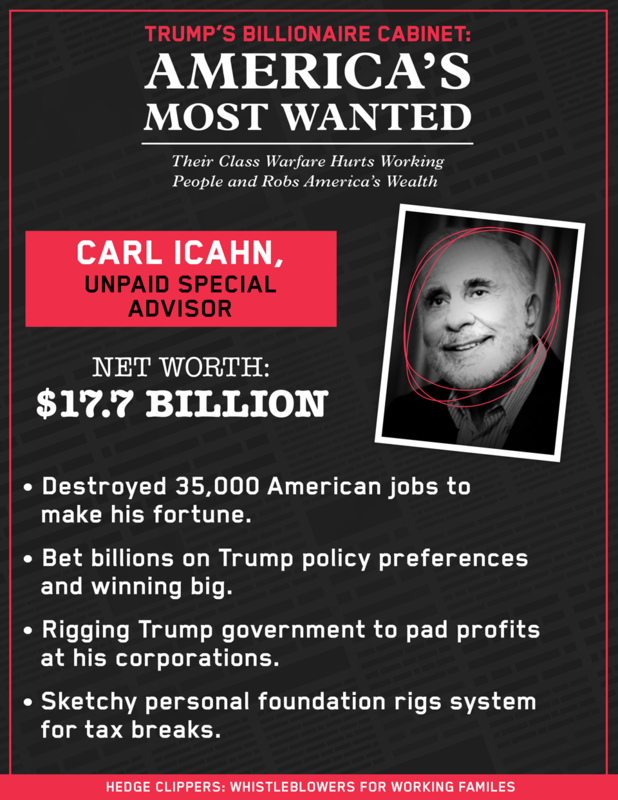 According to an earlier analysis by the Hedge Clippers, Icahn’s takeovers have resulted in the loss of more than 35,000 jobs and reduction or elimination of healthcare and pension benefits from more than 126,000 families. Nearly a decade later, and three short days before Railcar Industries went public, Icahn’s foundation sold the shares back to him at $100mn. Interestingly, Icahn paid for the shares with a $90 million I.O.U., which he has yet to repay as of the Foundation’s most recent tax filings. 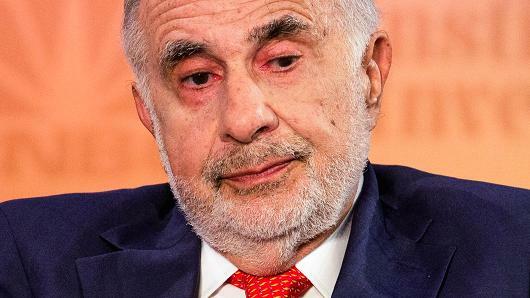 The timing of the non-profit’s sale of the shares back to Icahn proved to be quite fortuitous—shares climbed 40% in the first month of trading. Betsy DeVos earned her billions the old fashioned way—she inherited them. The daughter of Edgar and Elsa Prince, founders of the Prince Corporation, DeVos married Richard DeVos Jr., the heir to the Amway fortune. Their combined net worth is estimated at $5.2 billion. Some of these investments could pose a conflict of interest for Betsy DeVos as secretary of education. Through one of her private equity groups, DeVos is an indirect investor in Social Finance, Inc., a student loan refinancing company. If confirmed, DeVos would ultimately be responsible for the Department of Education $1.3 trillion student loan portfolio. Previously, the DeVoses were pre-IPO investors in K12 Inc., a controversial for-profit charter company. Investment blogs have flagged K12 Inc., now a publicly traded company, as a “potential beneficiary” from Trump’s education pick. It is easy to understand how one would arrive at that conclusion. K12 Inc. has been a funder of DeVos’s American Federation for Children, a pro-voucher lobbying group that makes supporting online charter schools a part of its mission statement. 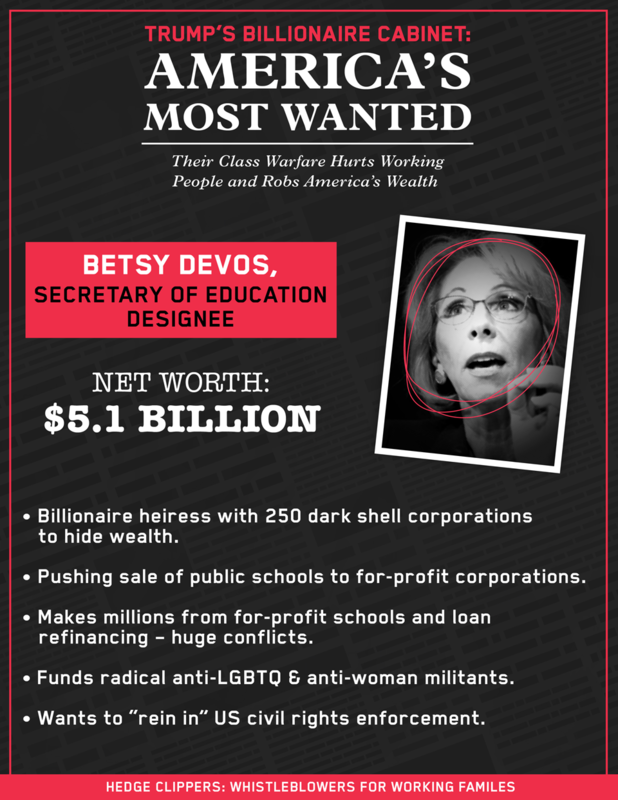 Betsy DeVos has also used her vast fortune to try and enact laws and support organizations that policies in line with her own conservative religious views. 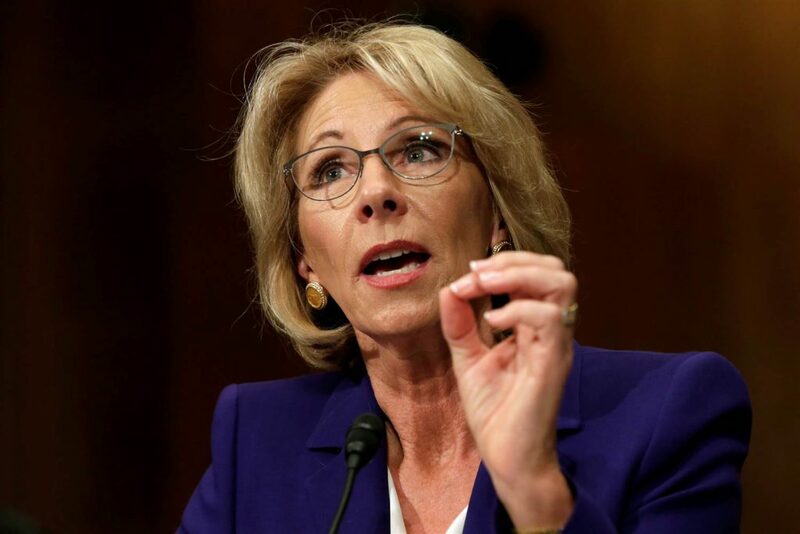 Gay rights advocates are alarmed that DeVos has donated hundreds of thousands of dollars to groups like Focus on the Family, which has pushed for the use of thoroughly-discredited “conversion therapy” to “treat” homosexuality. According to Politico, DeVos has already been in talks with Sen. James Lankford about “reining in” the Department of Education’s Office for Civil Rights. Donald Trump campaigned on ending one particularly abusive tax maneuver employed by some of the wealthiest Americans—the so-called “carried interest” loophole. Closing the loophole was such a touchstone of the Trump tax plan that, after an ambiguous tax agenda was posted to the Trump campaign website, Trump surrogate Wilbur Ross took to the airwaves to clarify Trump’s commitment to eliminating the loophole. 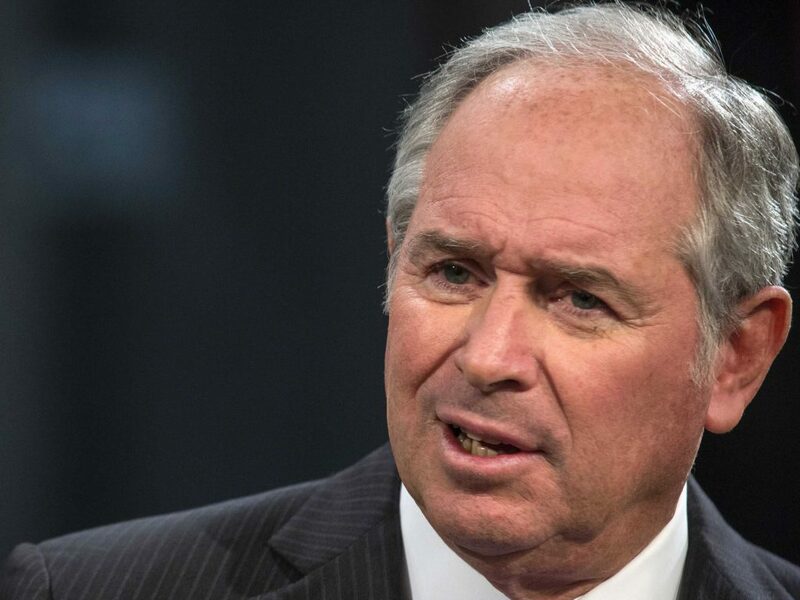 Since 2007, Blackstone has spent at least $25,040,000 with three lobbying firms that specifically mentioned their work on carried interest in their Senate lobbying disclosure forms. According to estimates by professor Victor Fleischer, closing the carried interest loophole could raise $180 billion in federal taxes over ten years. Vincent Viola is the billionaire head of Virtu Financial, a publicly traded high frequency trading (HFT) firm. High-frequency trading firms have been the subject of intense regulatory scrutiny during the Obama administration, and significant public scrutiny following the release of Michael Lewis’ 2014 New York Times bestseller Flash Boys, an expose on abuses in the HFT industry. In the book, Lewis pointed out that high-frequency trading firms often leverage their high-speed networks to take advantage of price differences across different trading platforms. This activity is not economically productive, and essentially amounts to a tax on ordinary market participants—carving out fractions of a penny on each share bought by a retirement fund or 401k. Not only do these firms effectively tax regular market participants, they may even threaten our nation’s financial stability. The Financial Stability Oversight Council (FSOC), a division of the Treasury Department created under Dodd-Frank to monitor systemic risks to our nation’s financial system, has been sounding alarm about possible systemic risks created by firms like Virtu. The FSOC believes that high-frequency trading firms like Virtu, the first HFT firm to be traded on the stock market, could pose unforeseen risk by rapidly amplifying market shifts to create “flash crash” events. In the market for U.S. Treasuries, such a “flash crash” already occurred in October 2014, straining liquidity for a market critical to both U.S. security and the global economy. In their most recent annual financial report, Virtu Financial also noted that they have received requests for information and documents from the SEC and New York Attorney General’s Office. Viola’s appointment signals Trump’s willingness to curtail investigations into high-frequency trading firms like Virtu, which recently partnered with J.P. Morgan to facilitate high-frequency trading of U.S. Treasuries. As a member of Trump’s cabinet, Viola is likely to exert influence on the Trump administration, including in matters outside of the purview of his specific cabinet post. Wilbur Ross, Donald Trump’s pick for commerce secretary is a billionaire, and founder of the private equity firm W.L. Ross & Co. Ross lives a life of unbelievable luxury and excess, with a $125 million art collection and several homes including an apartment in Manhattan and mansions in the Hamptons and in Palm Beach, Florida where he is a renowned tennis player; Ross has dined on filet mignon, lobster and banana splits with Carl Icahn, his fellow billionaire Trump supporter. Wilbur Ross has made a fortune snapping up American companies and profiting from restructurings that harm American workers, including shifting of pensions, not investing in safety, and moving jobs offshore. Ross shook up two American steel companies—LTV and Bethlehem Steel in bankruptcy, benefiting from new federal tariffs on steel imports, offloading of pension obligations, new work rules, other shifts in global steel market. Ross sold the American firms to European/Indian firm Arcelor Mittal for a $2.5 billion profit, which then closed steel plants in Illinois and Upstate New York. Billionaire Trump donor Ross and his funds owned company behind the infamous Sago Mine disaster. Ross originally tried to claim that he didn’t control the company as safety problems were growing, but it was eventually exposed that he had a 47% stake or more for the five years immediately before twelve West Virginia miners were killed in that explosion. 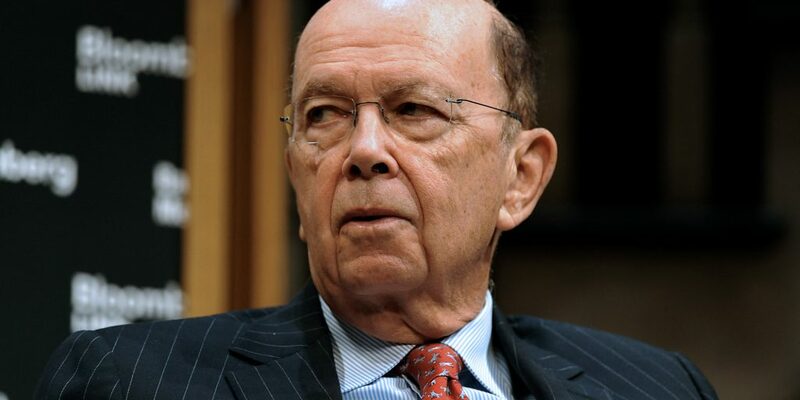 Wilbur Ross also oversaw the outsourcing of American jobs at Cone Mills to Jiaxing, China and the Mexican cities of Parras and Yecapixtla. Ross became an expert and collector on contemporary Asian art while spending time in Hong Kong and China outsourcing American jobs. 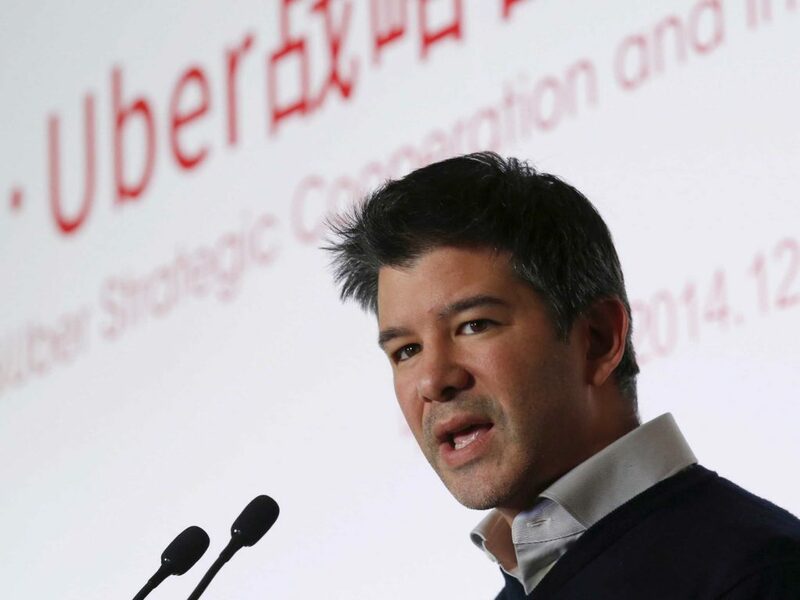 Uber CEO Travis Kalanick has joined Donald Trump’s Strategic and Policy Forum. Donald Trump has vowed to invest billions in infrastructure, largely through tax breaks and what has been termed “a full-on privatization assault.” Such a plan must be music to the ears of Uber and their venture capital backers. After months of denying that they had any interest in privatizing public transit, Uber launched two “casual carpool” services in 2015. Using these carpool/taxi offerings, has partnered with cities from Philadelphia, Tampa, and Oakland on a subsidized ride share program that aims to solve the “last mile” problem: their drivers cart passengers to and from the end of the traditional public transit route. As Uber takes over spaces that are traditionally reserved for public transportation (and their unionized work force), Kalanick and Uber have the potential to profit from the privatization of transit. The company’s wage practices have also been the subject of some controversy. Uber has argued that its drivers are “independent contractors”—going so far as to settle lawsuits to avoid the risk of having its drivers classified as employees. After settling two lawsuits filed by drivers who claimed the company didn’t let them accept tips, Uber relented, agreeing to allow drivers to accept tips. But in an official post on Medium, the company stated that tipping “is not included, nor is it expected.” And while Uber’s advertisements have painted rosy pictures of potential driver earnings, the company recently settled an FTC complaint over inflated salary advertisements. *NOTE: Kalanick resigned from Trump’s economic policy council on February 2nd after thousands of Americans joined the #DeleteUber and #UberRidesWithHate campaigns and stopped using his union-busting ride service. Kalanick’s role on the policy council and Uber’s effort to exploit a work stoppage by the New York Taxi Workers Alliance at JFK Airport in New York during the anti-Muslim ban protests on January 28 exposed the billionaire’s collaboration with Trump and drew widespread, harsh criticism. 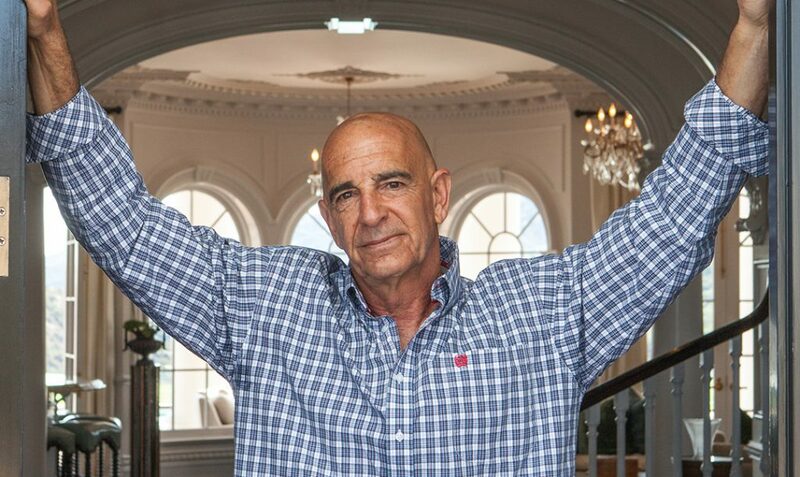 Thomas Barrack, executive chairman of Colony Northstar, helped raise over $32 million for the Trump campaign. Despite his generous support, Barrack has claimed that his support for Donald Trump was not political, but rather an attempt to disrupt the status quo. Disrupting the status quo is an odd stance for Barrack, who has a long history working with conservative administrations, serving in the Regan cabinet and as an attorney for the firm representing Richard Nixon. Outside of his occasional forays into three of the most conservative administrations of the past half-century, Barrack is known for his sprawling real estate empire. According to C-Suite Quarterly, Barrack landed a role in real estate after helping real estate investor Lonnie Dunn broker an deal between Saudi Arabia and Haiti, then under control of brutal dictator Jean-Claude Duvalier. In Barrack’s telling, Dunn was so impressed by him that he offered to let Barrack manage his U.S. real estate investments. Barrack launched Colony Capital in 1991, merging with Starwood Waypoint in 2016. In that merger, Colony bought a firm that had earned scorn from the housing activist community for crowding out FHA borrowers—who are disproportionately borrowers of color—in their drive to acquire a massive portfolio of U.S. housing stock. While Colony Northstar is known as the “Wall Street Landlord” responsible for snapping up thousands of houses across the country, Barrack’s personal specialty is finding value in washed-out celebrities. Partnering with actor Rob Lowe, Barrack has formed a hedge fund to invest in “celebrities and entertainment properties whose value he believes to be artificially depressed.” It’s no wonder Barrack was one of Donald Trump’s first Wall Street backers—Barrack made a big bet on Trump’s celebrity status, and now stands to reap significant rewards. The SEC filings specifically note the power of, the Consumer Financial Protection Bureau and the associated Dodd-Frank consumer protections, violations of which could cause “reputational damage and incur losses that could materially and adversely impact our business.” Already, there are signs that the Trump administration will be targeting the Consumer Financial Protection Board, a consumer watchdog that has returned $11.8 billion to U.S. consumers since its 2011 creation. 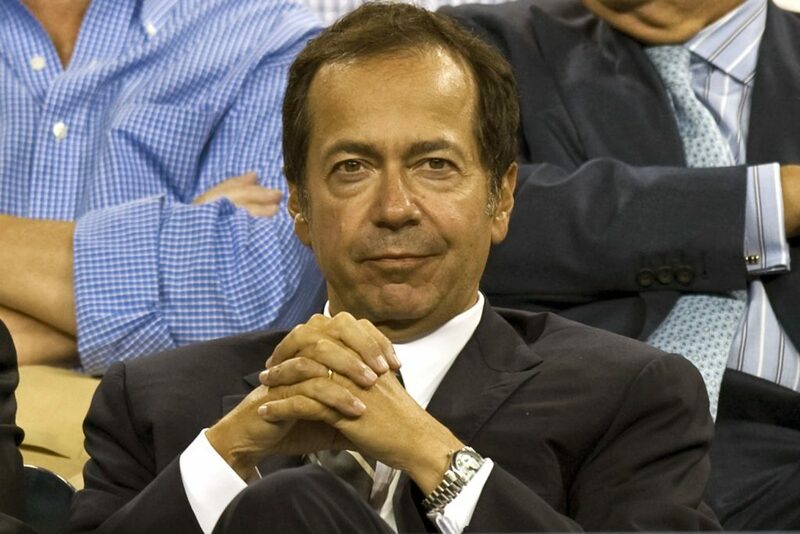 Feinberg is the head of Cerberus Capital Management, a private equity firm named for the multi-headed dog of Greek mythology that is tasked with guarding the gates of the underworld. 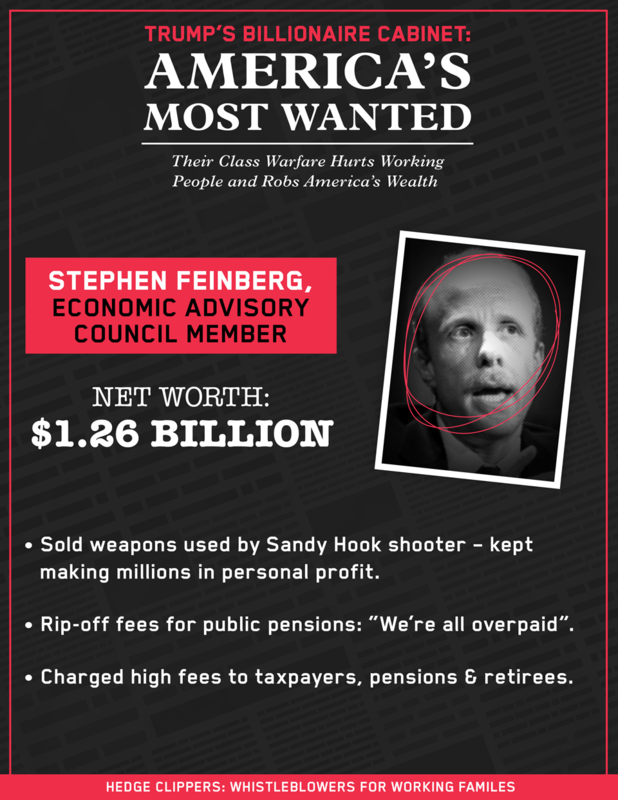 Feinberg, a Manhattan billionaire who often tries to adopt a working-class affect, is one of the nation’s largest firearms dealers. Following a trip to the North Carolina training facilities of the private mercenary firm formerly known as Blackwater (run by the brother of Trump education secretary designee Betsy DeVos), Cerberus went on a gun manufacturer buying spree, snapping up established gun companies and folding them into a mega-gun maker named Freedom Group—the largest gun manufacturer in the United States. Marketing military-style weapons to the civilian public has a social cost that is paid in the needless loss of American lives, and this is something that Feinberg knows firsthand. When twenty elementary school children and six teachers and staff lost their lives at Sandy Hook Elementary, the gunman was armed with a Freedom Group assault rifle. And, while Cerberus pledged divestment from the firearms business in the wake of the Sandy Hook tragedy, Bloomberg has reported that Feinberg personally purchased the stakes in Freedom Group sold by investors in Cerberus. 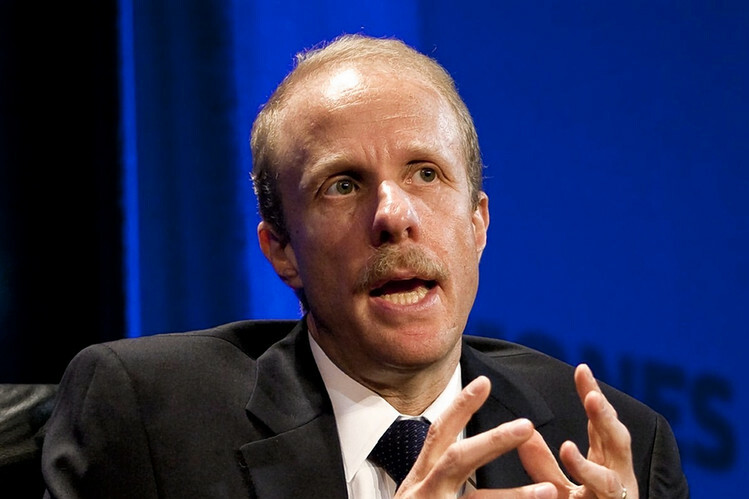 Like many private equity firms, Feinberg’s company counts many large public pension funds as their clients. According to Preqin, a commercial aggregator of pension and fund manager data, Cerberus has managed retirement funds for the CalPERs, CalSTRS, Kentucky Retirement Systems, Los Angeles Police & Fire Retirement, Louisiana SERS, the state of Michigan, New York State Common Retirement System, New York Teachers, Pennsylvania School Employees, and Pennsylvania State Employees Retirement System. 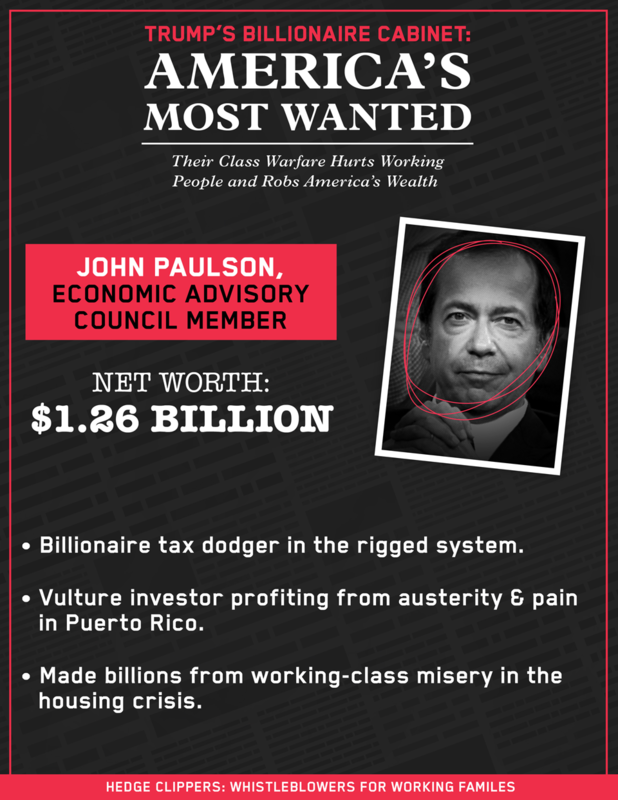 Trump donor Paulson is worth $9.8 billion, and is known for betting $15 billion against U.S. mortgages during the 2008 financial crisis, making up to $4 billion personally. As Trump takes office, Paulson stands to gain from Donald Trump’s pro-business IRS. Under the Obama administration, the IRS was considering altering the “passive income” exemption to exclude offshore reinsurance businesses, which many hedge fund managers have created to invest in their own hedge funds. Paulson’s reinsurance fund, Pacre Ltd., was a poster child of the loophole that the IRS sought to close. Pacre had “no offices or employees of its own” and sold “far less insurance than industry norms,” according to Bloomberg. All reinsurance funds like Pacre Ltd were set up to do, according to insurance CEO William Berkley, were “trying to find a way to have a vehicle that can go offshore and avoid paying taxes.” Since the IRS did not taken action on their proposed rule before President Obama left office, a Trump win all but ensures that funds like Pacre won’t be on the hook for the taxes they avoided. 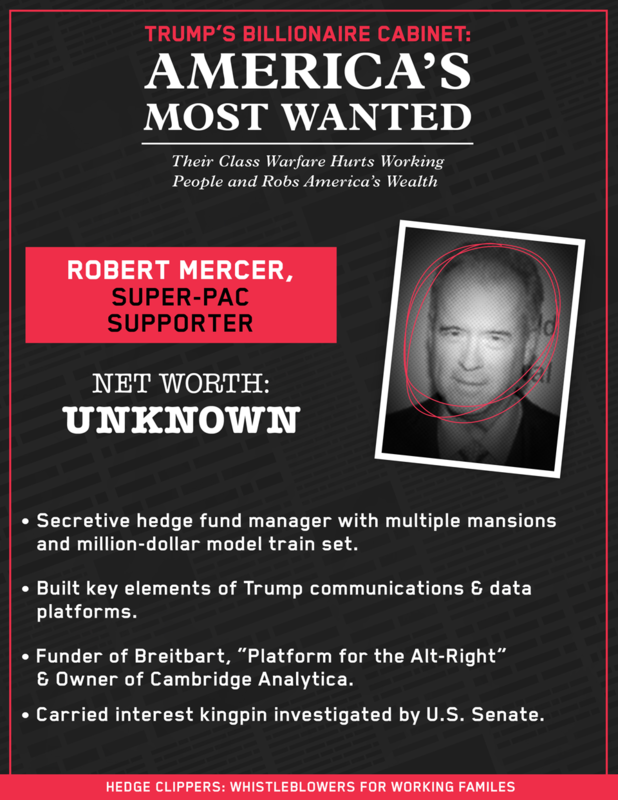 Robert Mercer, an ultra-secretive hedge fund billionaire and co-CEO of Renaissance Technologies, Inc., has numerous connections to the apparatus that elected Donald Trump. According to reports in Newsweek and Bloomberg, Mercer is an investor in Breitbart, an alt-right website run by Steve Bannon, President-elect Trump’s strategist. Mercer’s daughter, Rebekah was reported to have pushed Trump to hire controversial alt-right figure Steve Bannon. Using that data, Cambridge Analytica built psychological models of American voters and sold them to both the Trump campaign and a Mercer-funded super PAC backing Trump. And Trump even attended the Mercer’s annual costume party in December, held on Robert Mercer’s sprawling Long Island estate. 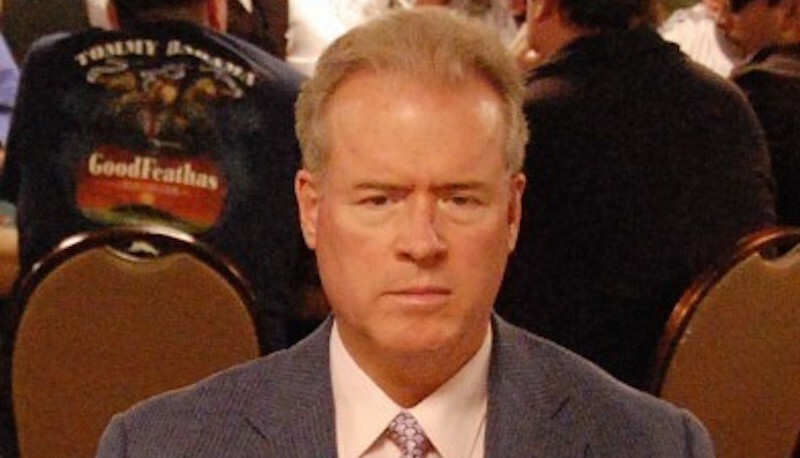 Robert Mercer is able to pay his way in the world of reactionary, right wing politics thanks to his stake in Renaissance Technologies, a secretive hedge fund. In 2014, a the Senate Permanent Subcommittee on Investigations concluded that Renaissance Technologies had used a cutting edge scheme to convert short-term capital gains into long-term capital gains, paying the “carried interest” loophole rate. To do so, Renaissance entered into complex agreements with bank counterparties, in which the banks sold options against a “basket” of securities that Renaissance and other fund managers actively traded. While these baskets acted like a regular brokerage account, the bank technically owned them until the option was exercised. According to the Senate report, Renaissance Technologies generated approximately $34.2 billion in profit since 1999, avoiding an estimated $6.8 billion in taxes. The IRS issued guidance in 2015 requiring firms to declare their use of “options baskets” on their tax filings, and correct previous filings, but had not yet pressed any case on their prior use. With Trump assuming the presidency, and hedge fund manager Mnuchin heading the Treasury Department, it remains to be seen if the IRS will press this $6.8 billion issue. 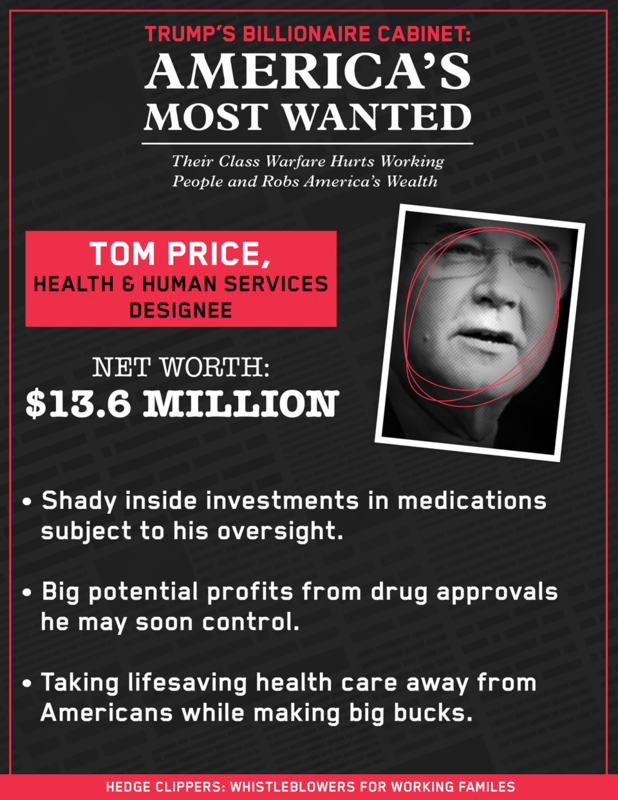 Congressman Tom Price has a background in orthopedic surgery, but his stock picks as a congressman were shrewd enough to earn him entrée onto this list. Rep. Louise Slaughter—author of 2012 legislation that significantly curtailed insider trading by federal legislators, has called on the Securities and Exchange Commission to investigate Price’s dealings. 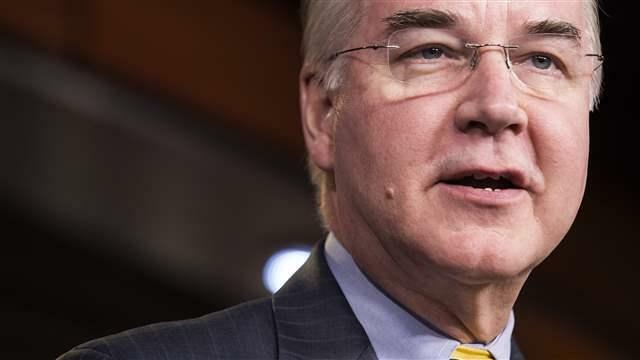 The most controversial of Price’s investments is Innate Immuno, a foreign company with a pending review of its marquee multiple sclerosis drug before the HHS’s Food and Drug Administration. If the FDA approves the drug, Price’s shares in Innate Immuno could double in value. 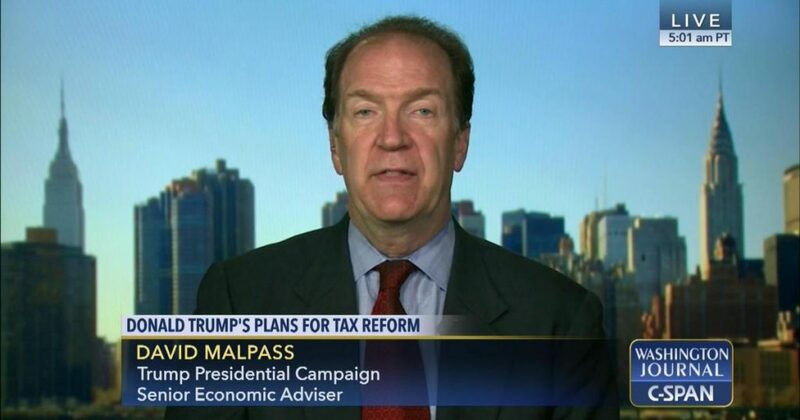 David Malpass, a former economist at Bear Stearns, has been one of Donald Trump’s economic advisors since the campaign. Malpass is a strange pick for Trump, as he was one of the authors of the North American Free Trade Agreement (NAFTA), the trade agreement that president-elect Trump campaigned strongly against. Taking economic advice from a literal author of NAFTA seems an odd choice for Donald Trump, who campaigned on a nationalist populism sharply critical of trade deals. Asked about NAFTA during an August 2015 interview on 60 Minutes, Trump called the agreement “a disaster” and promised to break or renegotiate it. Walter Jay Clayton: Partner at the Wall Street law firm Sullivan and Cromwell, Clayton’s former clients include Goldman Sachs and the pre-bankruptcy Lehman Brothers. His wife, Gretchen Clayton, is a vice president at Goldman Sachs. Steve Bannon: Bannon, proprietor of the alt-right website Breitbart, spent several years at Goldman Sachs before launching his own firm. 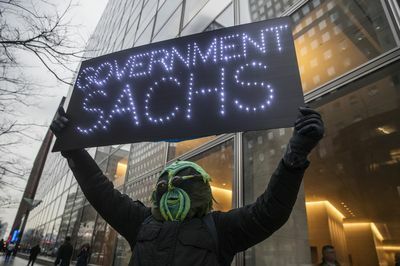 Gary Cohn: Cohn, the COO of Goldman Sachs and the company’s “No. 2” will be director of the National Economic Council. Dina Powell: Powell, a partner at Goldman Sachs, will join the Trump Whitehouse as an advisor on entrepreneurship. Steve Mnuchin: Mnuchin, a seventeen-year Goldman Sachs veteran is a second-generation Goldman Sachs partner. Anthony “The Mooch” Scaramucci: Fired from Goldman Sachs in 1991, Scaramucci will be an Trump’s Wall Street liaison. Per a 1/10/2017 review of electronically filed lobbying disclosures on the United States Senate website.